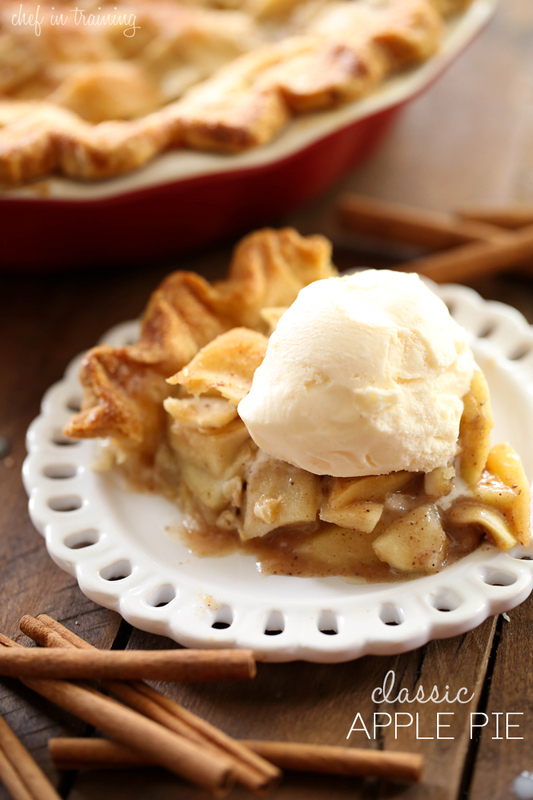 This apple pie is a delicious fall recipe! Top it off with some ice cream and enjoy! In a large bowl, place thinly sliced apples. Add orange juice and lemon juice over apples and toss to evenly coat over all the apples. In a small bowl, combine sugar, cinnamon, nutmeg, cloves, flour and salt and stir to combine. Add to apples and stir until all are well coated and well combined. Stir in butter cubes. Place one of the pie crusts in a 9 inch pie pan. Pour apple mixture in pie. Place crust over top. You can do a lattice top if you prefer, or place the entire pie crust over the top and seal the sides, making sure to cut slits in the top for breathing. Beat egg in a small bowl and brush the top of the pie. Bake at 375 degrees F 35-40 minutes until golden brown.